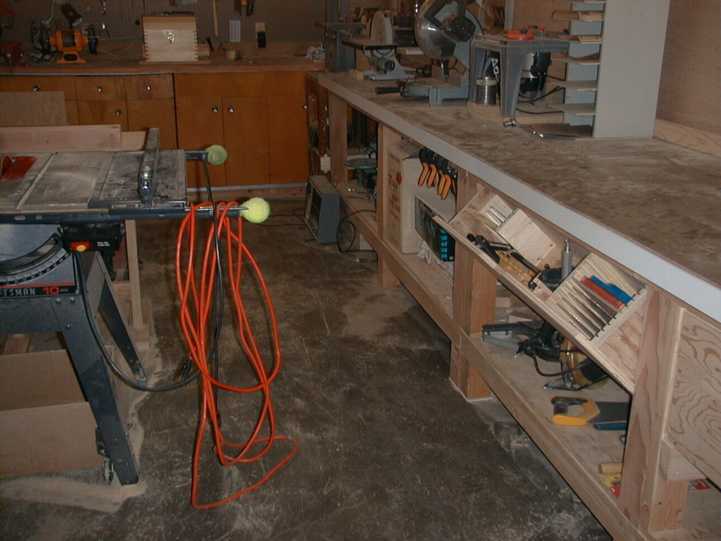 notes: I added these two containers to the workbench. 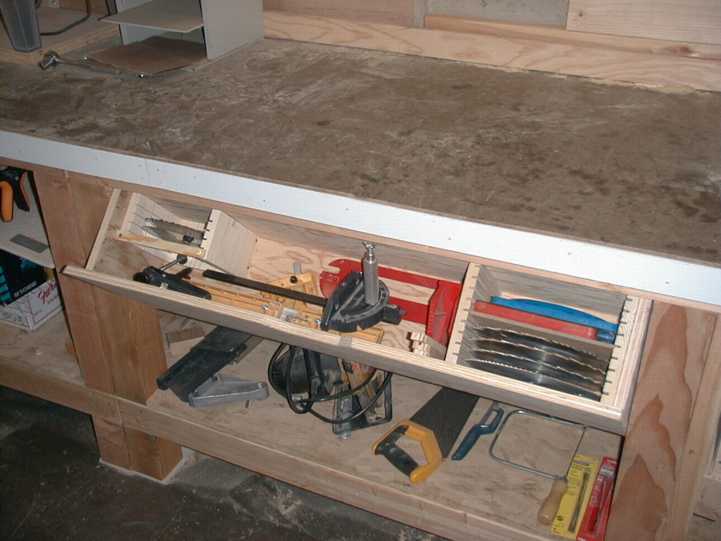 On the right is a simple drawer. It goes back half the depth of the bench top (false continuation behind that prevents it from falling out when fully opened). There's a 6-plug power strip at the center, which means I can leave the tools plugged in - the cord comes out through the handle slot at the top center of the drawer front. 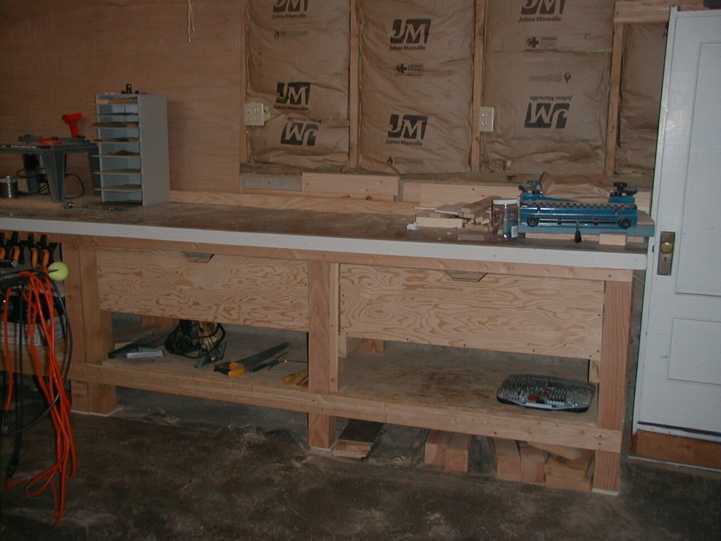 To the left of the drawer is a flip-out crib for things connected with the table saw, just a few feet in front (I got the basic idea from an ). The 10" blades, shapers (red) and dadoes (blue) are stacked on the right, 7" Skil blades on the left. 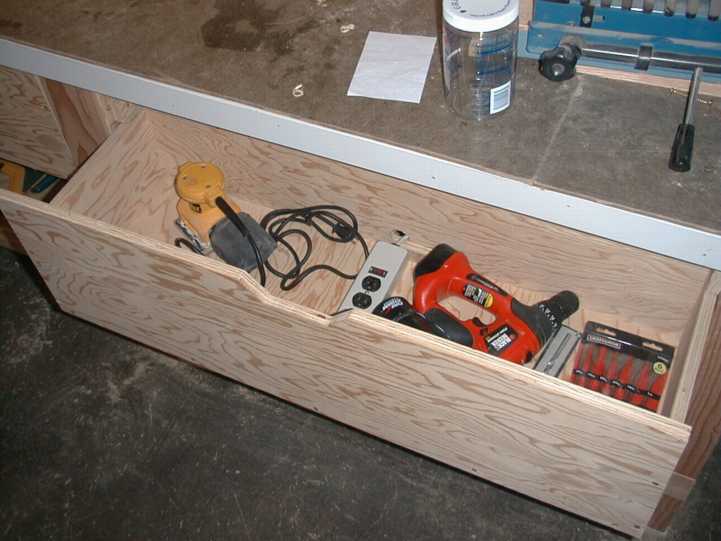 The crib also holds a box-joint fence (yellow), miter gauge, table insert (red), tenon guide, push sticks.